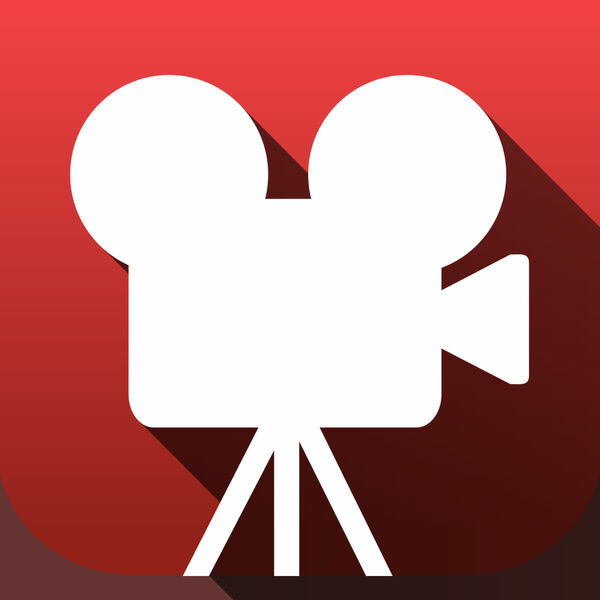 Have you ever hesitated to rent a movie on iTunes because you want to wait for the price to drop? It’s a lot of work to check the price daily, and you eventually forget and miss the sale, or the movie completely. 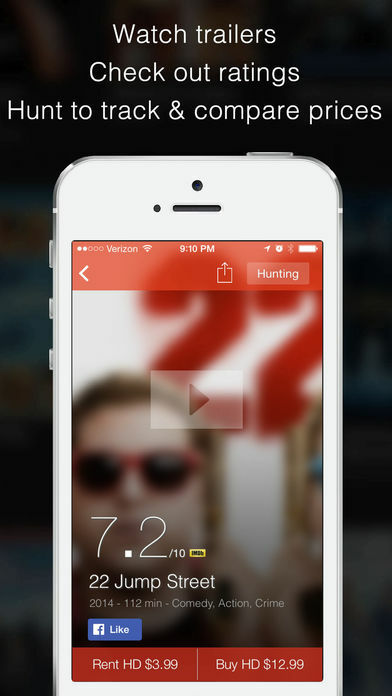 If this describes you, then KinoHunt is the perfect solution that meets your need! Simply “hunt” for the movies you want to watch, and we’ll send you push notification and email whenever the price drops for these movies. 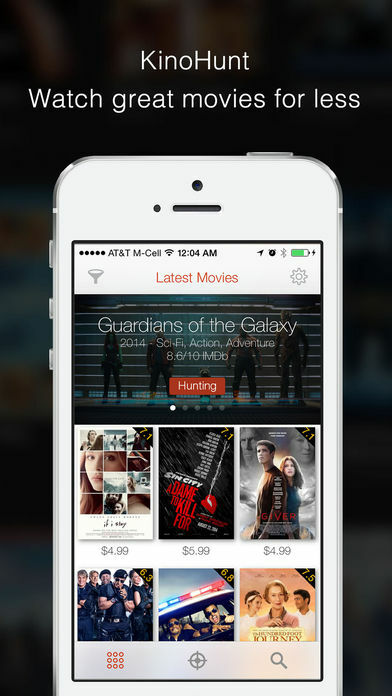 You can also track in theater blockbuster movies and we’ll inform you when they become available on your favorite service. 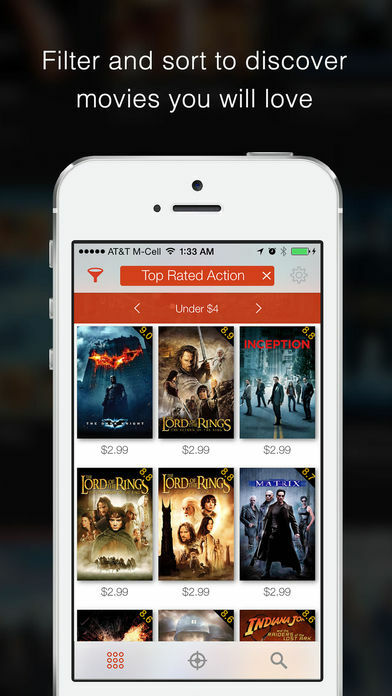 Browse and discover movies you’d love to watch at the right price. Now you can filter by genres, prices, and sort by release date vs IMDb rating to narrow your search. You can also configure your preference of SD/HD and Buy/Rent in settings. 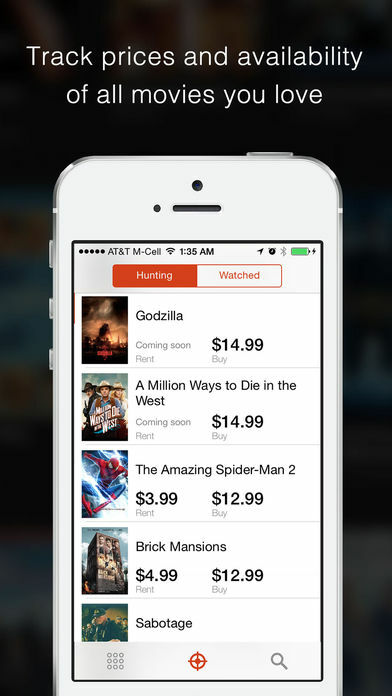 We’ll only show you movies matching your preference and notify you when price drops in your selected options.